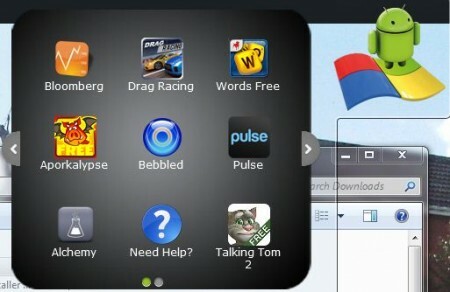 Want to run Android apps on your PC ? Grab Bluestacks. It’s a free app which is now available to download and seems to run the majority of Android apps we’ve thrown at it. The app runs on Windows and there’s a Pro version in the works which will let you run those more CPU / graphic-intensive apps and games like Angry Birds and Cut The Rope.